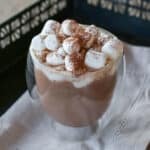 High Octane Hot Chocolate is what happens when you combine coffee, cocoa, kahlua, and vodka and then top that with a generous handful of marshmallows. While it may sound crazy sweet, it really is not. This is a warm, smooth, chocolate-y mocha with a generous splash of booze. The marshmallows are fun and they sweeten the drink perfectly. 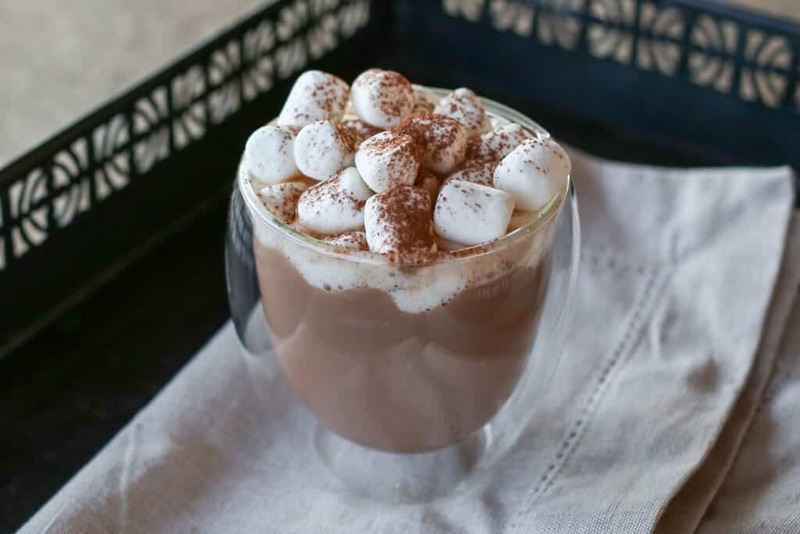 If you’re a fan of sweeter drinks, just add a few more marshmallows or swap them with a dollop of whipped cream if that is more your style. This High Octane Hot Chocolate was waiting for me last time I arrived at my sister’s door. She called me as we were driving into Albuquerque to check how close we were to their house. We’d been driving for about 7 hours and to be handed these warm and fully loaded drinks within moments of walking through their door was pretty much the best thing we could have imagined. Prepare coffee and cocoa. Divide the hot coffee and cocoa between two mugs or heat proof glasses. Add an ounce of vodka and an ounce of kahlua to each drink. Stir to combine and top generously with marshmallows and a sprinkling of cocoa powder. Enjoy! I love these Bodum tumblers both for how pretty they are and their ability to hold both hot and cold drinks. However, any mug or cup that can handle a hot drink will work perfectly for this cocktail. That said, this might not be the perfect time to use that travel coffee cup; this is most definitely not a coffee or cocoa for the road. Oh my word! This is AMAZING!!! Oh my this sounds dangerous in every sense of the word - looks too good to resist thought. 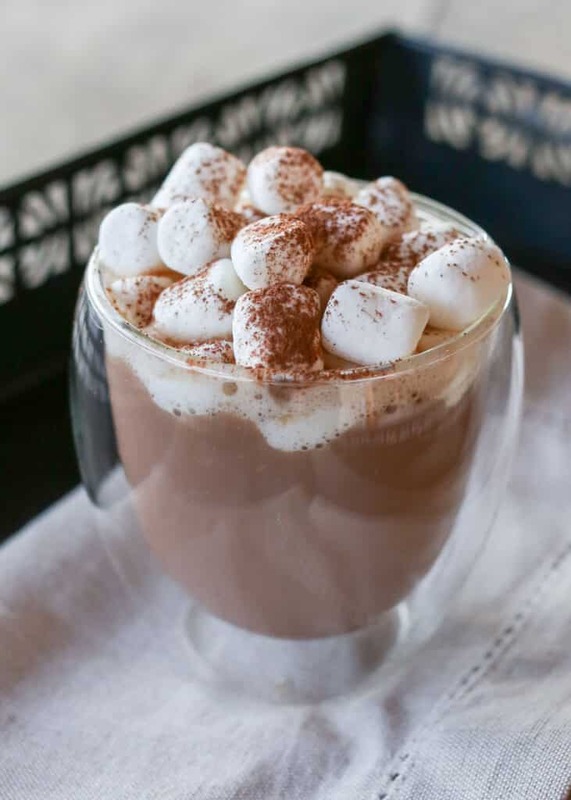 If you want it to stay high octane, prepare coffee/espresso and hot chocolate, pour into warmed mugs, put marshmallows on top, THEN pour vodka and kahlua between the marshmallows. This will prevent the heat from allowing the alcohol to dissipate, but keep it in under the marshmallows, or whipped cream, if you are using that.